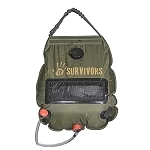 Go Ready with the 12 Survivors Pocket Water Purifier. 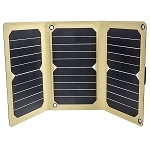 Whether you’re on a morning hike, spending a week in the mountains, or clawing your way out of a survival situation, this compact, 1.2” x 6.5”, 2.1 oz. water filtration straw provides 0.4 liters per minute of thirst-quenching potable water you can depend on. Constructed of BPS-free ABS plastic and Tested by TUV SUD, this lightweight, portable water filtering straw reduces bacteria by 99.9999%. With filtration down to just .03 microns for up to 1500 liters, this life-saving straw prevents major illnesses such as Salmonella, Giardia, Cholera, Diarrhea, and more. This pocket sized purifier threads easily onto a standard soda or water bottle and keeps you from putting your hands or face in potentially dangerous water for a drink. 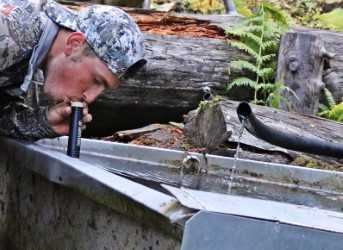 No matter where your outdoor adventures take you, Go Ready with 12 Survivor Pocket Water Purifier. Includes a pre-filter and cotton replacements.